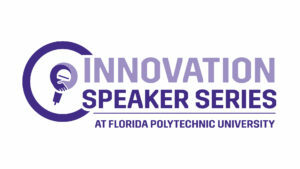 Florida Polytechnic University hosted its first Innovation Speaker Series lecture, Jan. 17, 2019. Jim Thomas, chief executive director of the Central Florida Tech Alliance, kicked off the monthly series, which takes place the third Thursday of the month during the academic year. 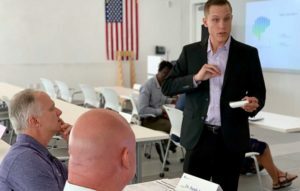 Florida Polytechnic University debuted its Innovation Speaker Series, Jan. 17, at its Innovation, Science, and Technology Building. 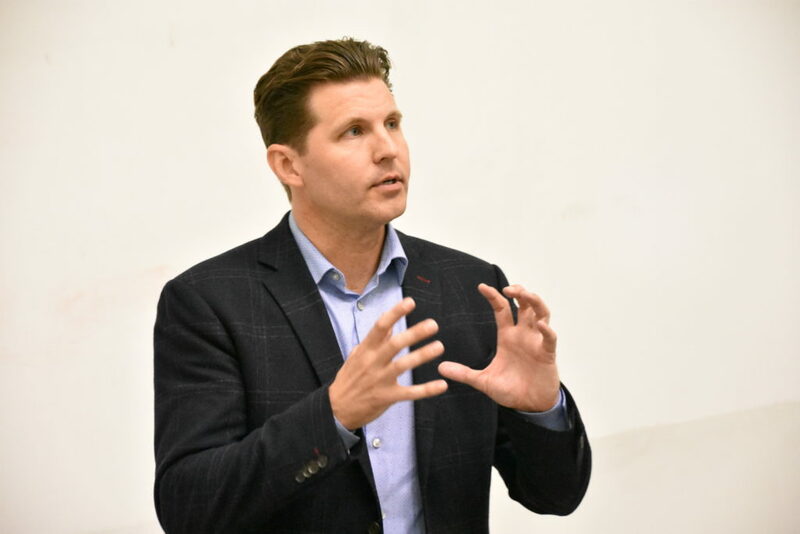 The University welcomed Jim Thomas, the chief executive officer of the Central Florida Tech Alliance (CFTA), who spoke to a gathering of students, faculty, and community members. The theme of Thomas’ lecture centered on Central Florida’s position as a global tech leader in several high-tech industries and how Florida Poly is strategically positioned to cultivate and help propel that growth. “Five years ago, Florida Poly wasn’t even here. Now it’s becoming one of our great universities and a shining point in Florida,” said Thomas. He gave examples of how technology is on the verge of revolutionizing the way we live, and pointed to the importance of lowering costs for basic needs like housing, food, transportation, and energy. The lecture series takes place the third Thursday of every month during the academic year and features speakers who have created a product, service, or organization that has resulted in substantial impact in their market or community. “The goal of the Innovation Speaker Series is to support the culture of innovation at Florida Poly by bringing professionals with local, regional and national ties to talk about different aspects of innovation,” said Bob Kennedy, director of development at Florida Poly. The series is free and open to the public. Information, including the schedule and future speakers, can be found on the Florida Poly website.